Champions Bayern Munich and new coach Niko Kovac will kick off the 2018/19 Bundesliga season against fellow UEFA Champions League competitors Hoffenheim on Friday, 24 August (kick-off: 8:30pm CEST/7.30pm BST/2.30pm ET). The defending Bundesliga champions have officially opened the new season at home on a Friday night since 2002/03, and this is the sixth year in a row Bayern have earned the honour following six consecutive titles. It’s a first competitive match in charge of Bayern at the Allianz Arena for new coach Kovac following his move from Eintracht Frankfurt. His opposite number Julian Nagelsmann, on the other hand, is starting his final season with Hoffenheim before his move to RB Leipzig in 2019/20. Watch: Recap the live stream of our 2018/19 fixture release! Bayern have won the last five consecutive opening matches by an aggregate scoreline of 19-3, but this is the first time they have faced another Champions League club in the official opener. 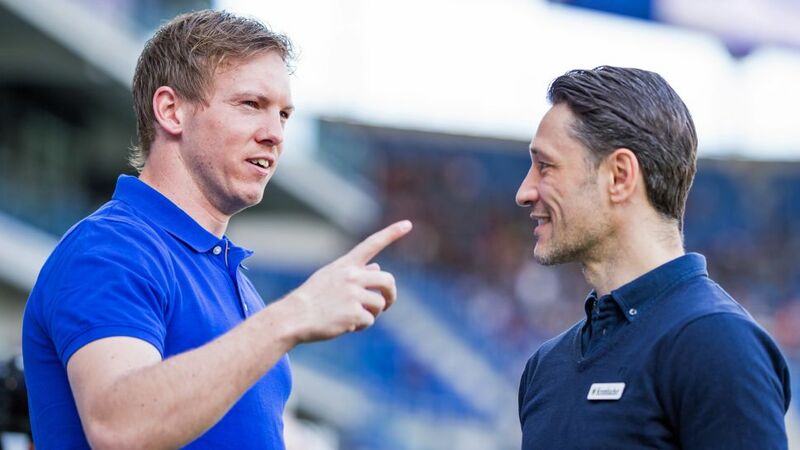 Hoffenheim are into the Champions League group stage for the first time in their history after finishing third last season, while Nagelsmann has only lost one of his four matches against Bayern as a coach. The first Matchday of the season has thrown up a number of incredible fixtures. Borussia Dortmund will host RB Leipzig on the opening weekend, while Borussia Mönchengladbach will face Bayer Leverkusen at home. Newly promoted sides Fortuna Düsseldorf will face Augsburg and Nuremberg, who finished second in the Bundesliga 2 last season, travel to the capital to face Hertha Berlin. Other major fixtures of the 2018/19 season will see the first Klassiker between Dortmund and Bayern take place on Matchday 11, over 9-11 November 2018. The first Revierderby of the new season between Dortmund and Schalke will be played on Matchday 14, over 7-9 December 2018. In the second half of the season, the Klassiker will be held on Matchday 28 over the dates of 5-8 April 2019, while the second Revierderby of the season will take place on Matchday 31 between 26-29 April 2019. Click here to view the fixture release live!